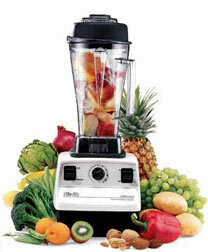 Here are our suggestions and tips for the best blenders and what to look for when buying a new blender for smoothies. Choosing the right smoothie blender can be a surprisingly difficult task. Many people have started to rely on smoothies as a healthy and simple snack or breakfast replacement. There are several big factors that will affect your decision on this matter, each of which will be covered in this article to help you make an informed purchasing choice when the time comes to pick a blender. 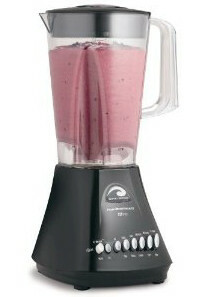 The size of a smoothie blender is very important and closely related to what youll be using the blender for. Obviously, youll be using it to make smoothies  but more specifically, how much smoothie mixture will you be making at any given time? Do you want to make a large batch of smoothie all at once that will keep a family going all week? Or do you just want a smaller blender that can be used for making a quick smoothie on the go, with a detachable cup thats easy to drink from? Size is one of the first considerations. If you want to make an investment or plan on using your blender often I recommend the Vita Mix. I'll tell you more about how I use mine below. The base of the blender is also important. Blenders with flimsy plastic bases will become unsteady when you try to blend at high speeds, which can lead to splashing or spilling of the smoothie. This can force you to blend on slower speeds, which can result in a smoothie with chunks or a thicker consistency than you really want. To avoid this problem, opt for a blender with a solid metal base so it will stand firm regardless of the speed or function you set it to. The most important functions of a smoothie blender are the speed settings. 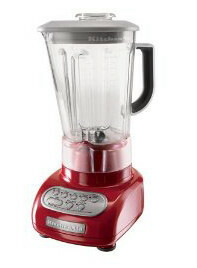 Some blenders have only a single speed setting. You need to make sure you get a smoothie that has the speed functions needed to blend food to the consistency you want for your smoothies. Aside from the actual blend speed itself, some blenders have various other functions which allow for the rapid blending of solid foods. This is handy if you plan to use ice in your smoothies, or you dont want to have to bother cutting up fruits and vegetables before you blend them. Of course, it has to be mentioned. 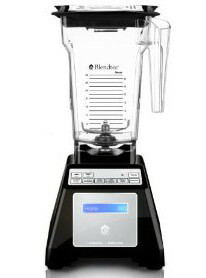 The price range amongst blenders may seem extravagant. You don't want to buy a blender that is cheap because the quality will most likely be lacking and you want a blender that you can count on to use over and over. Brands like Vita-Mix can run into the hundreds of dollars, and many customers swear theyre worth the money. ( I do! ) If you just want something simple to make a few breakfast smoothies, you shouldnt have to spend more than 50 or 60 dollars to find something that will do a reliable job but these don't always last as long or give as good results. We'll show you a few below and the pros and cons of them. My best smoothie blender, see why I like it! It is more expensive but worth it in the end because it will last you for generations and can be used for so much more than just smoothies. Pros: One person portion size blender. Use the blender container as your drinking glass with travel lid. Cons: Only blends 12 Tablespoons at a time. Do not use large chunks of ice. Doesn't blend frozen fruit well. Cons: Takes awhile to blend ice chunks and not great at blending frozen fruit. Food processor attachment hard to clean and doesn't work well. Pros: Works well for soft foods. Cons: Doesn't blend hard foods, such as some vegetables, frozen food nor ice. May leak during processing. Pros: Rates up there with the Vita Mix for one of the best smoothie blenders. 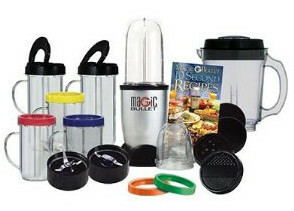 Heavy duty blender, large base and quick. Cons: Expensive but worth it in the end because it will last you for generations.